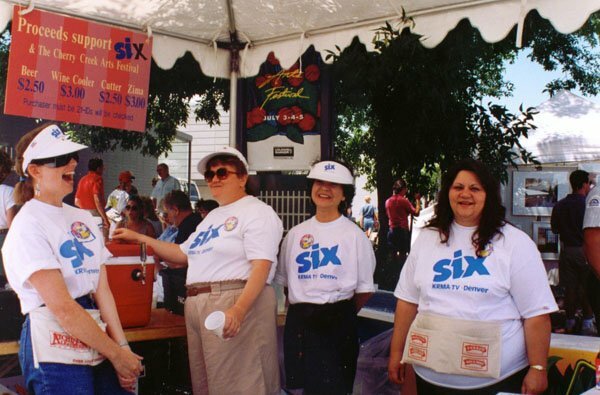 Staff and volunteers have held a variety of special events over the years to reach out to our community. 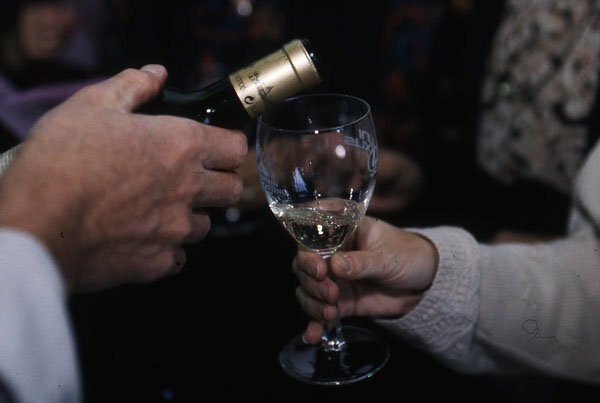 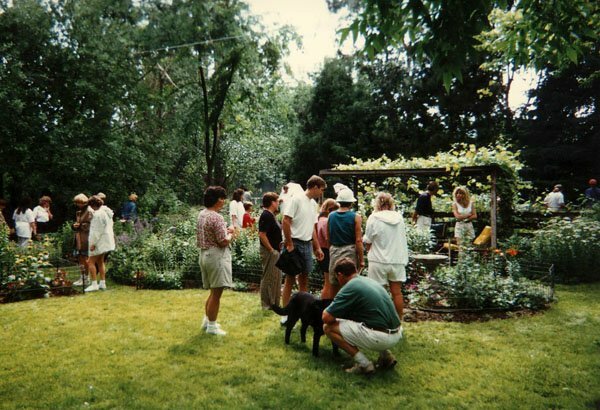 Two of the most popular in the 1980s and '90s were wine-tasting parties and annual garden tours. 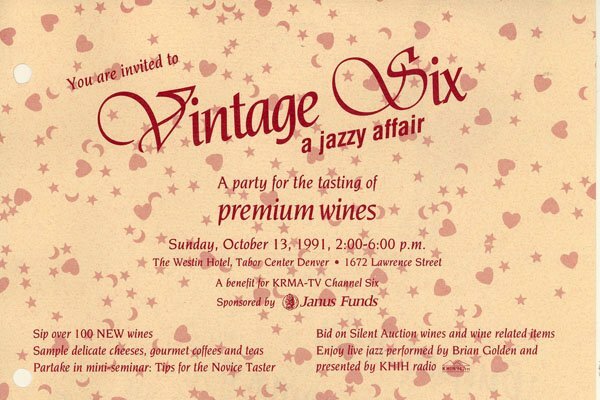 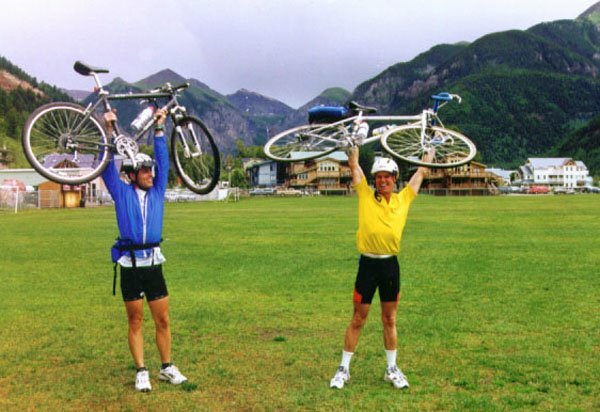 In the mid '90s, Channel Six introduced winter sweater drives and summer bike tours. 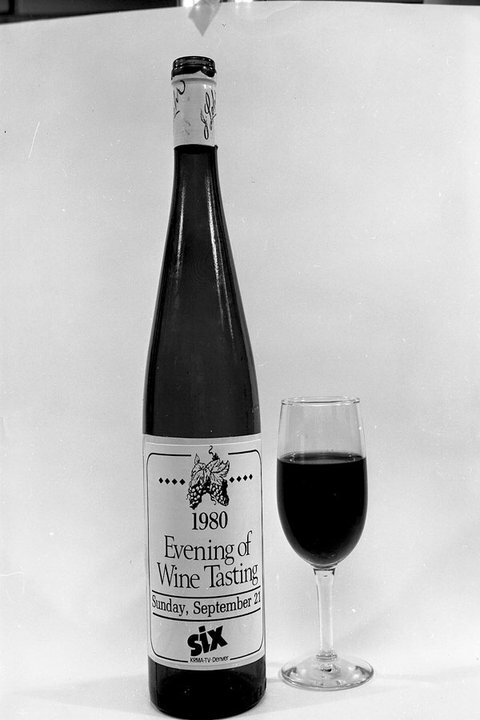 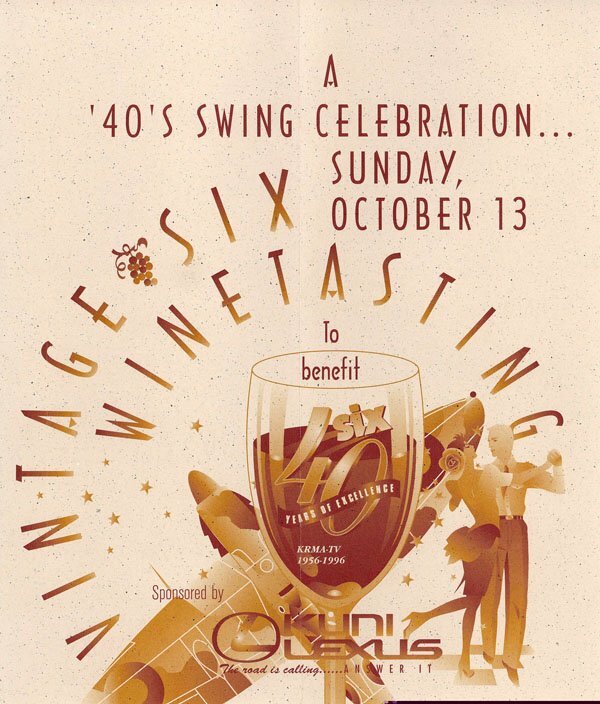 Wine-tasting parties – some drawing 2,000+ people – were first introduced in the fall of 1980 and continued through 1997. 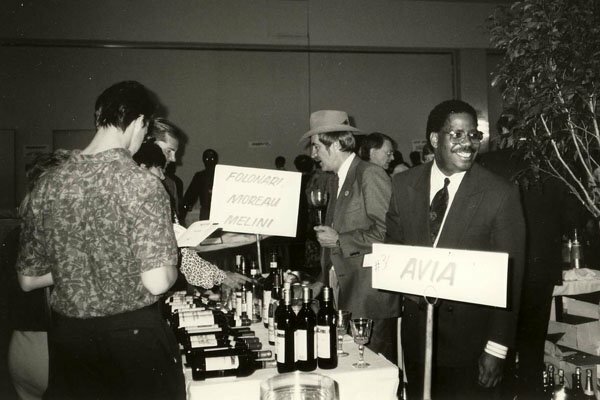 KRMA volunteers and staff partnered with trade associations of vintners or other purveyors. 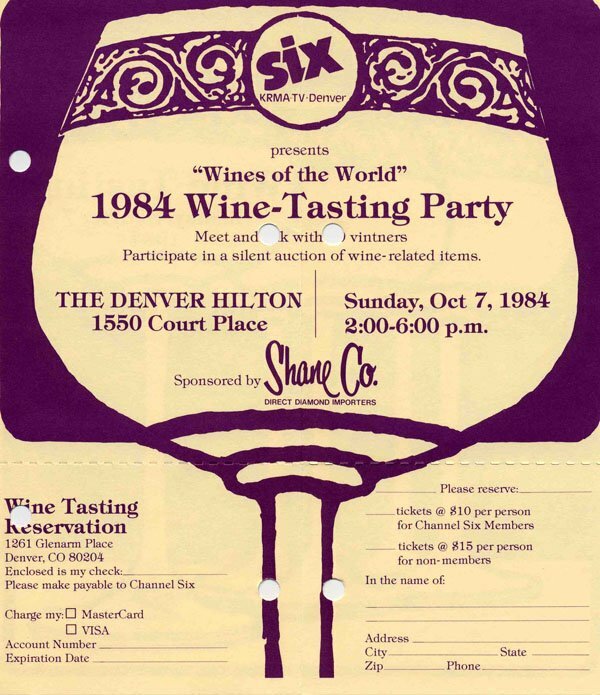 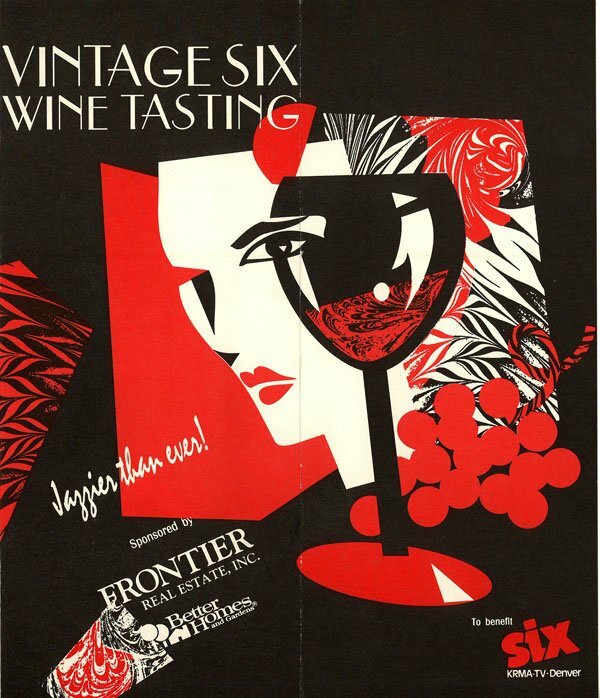 Catalogues were distributed describing the wines being sampled, and people had a jolly time. 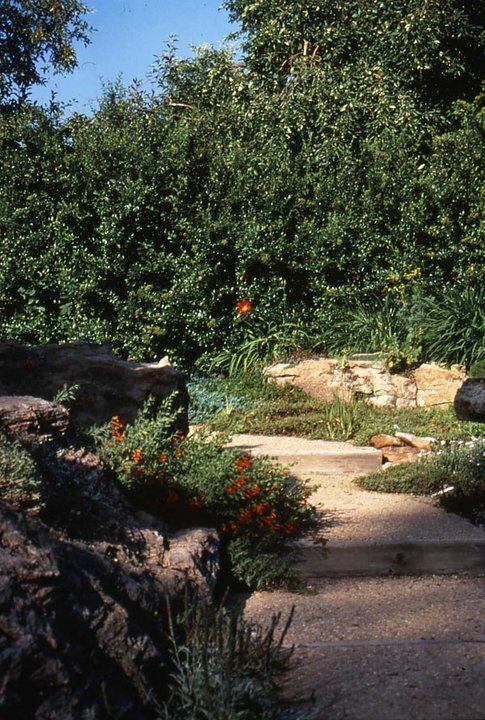 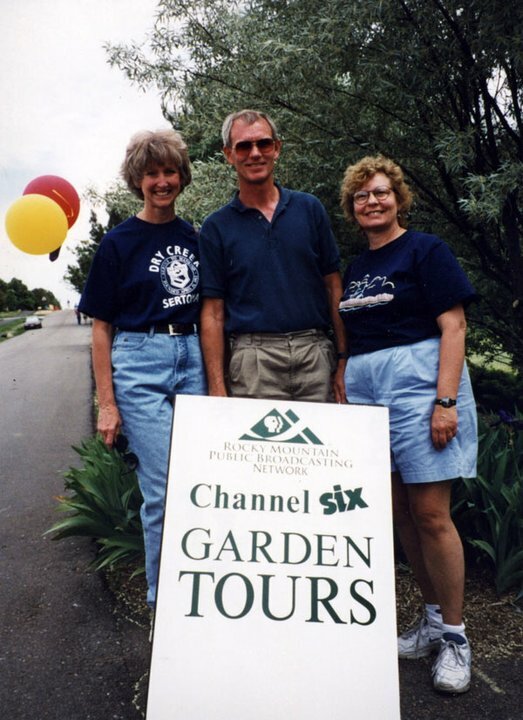 Channel Six also featured garden tours from 1993 to 1998, along with gardening classes presented by PBS garden show celebrities and other experts. 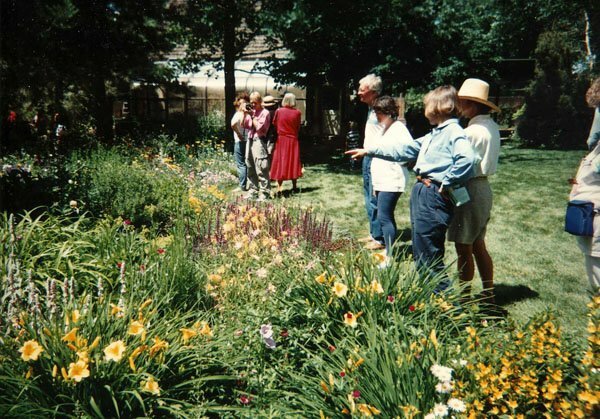 The June tours were designed around themes – from urban gardening to how to minimize water use. 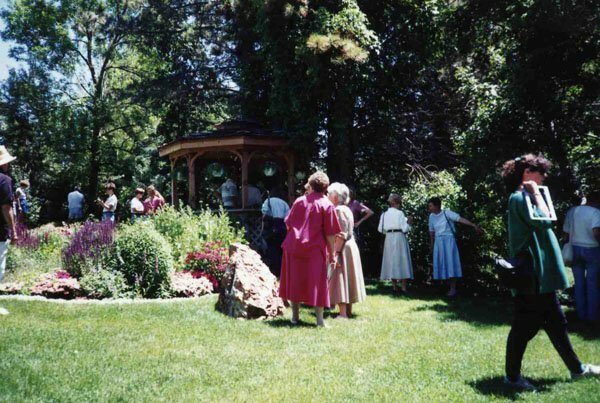 All tours offered tips to visitors on developing their own gardens. 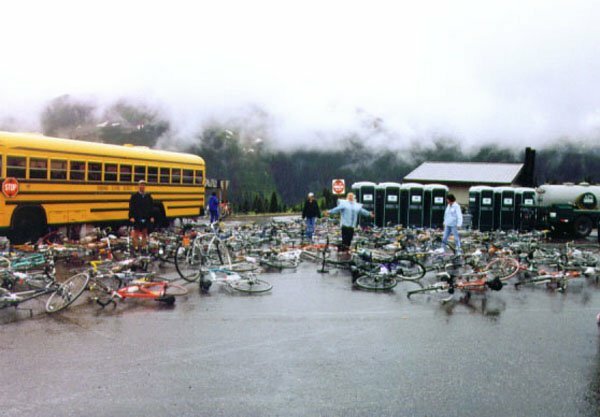 Sweater drives, held from 1995 to 2005, were another popular outreach activity. 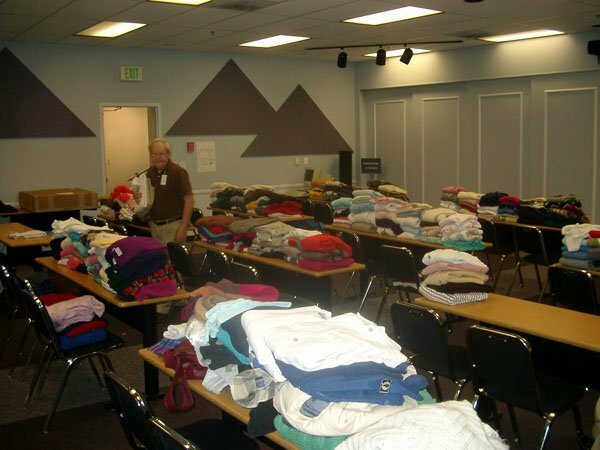 We collected donations of new and gently-used sweaters for distribution to people in need of warm apparel. 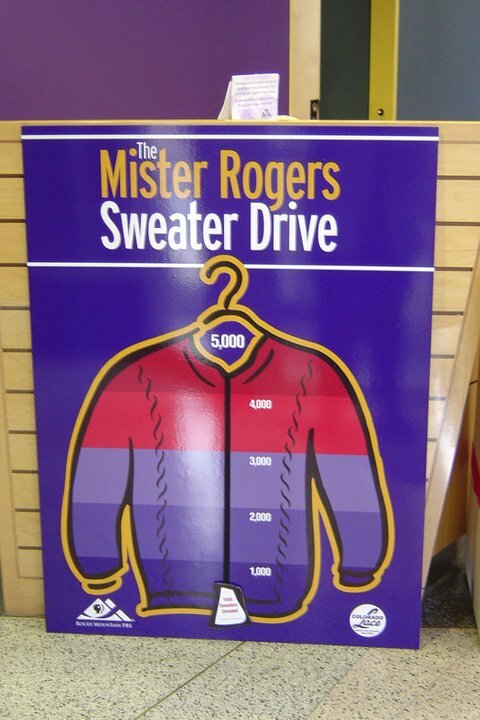 Sweater donations varied from year to year, but one year yielded nearly 8,000 sweaters! 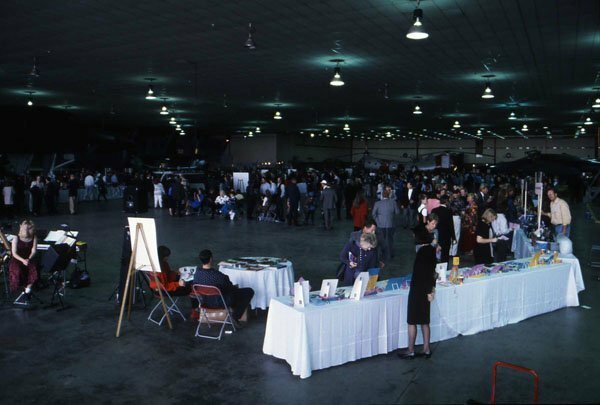 In 2003, the event was called the “Mister Rogers Sweater Drive” – named after the beloved character in “Mister Rogers Neighborhood” who donned a sweater at the beginning of each show. 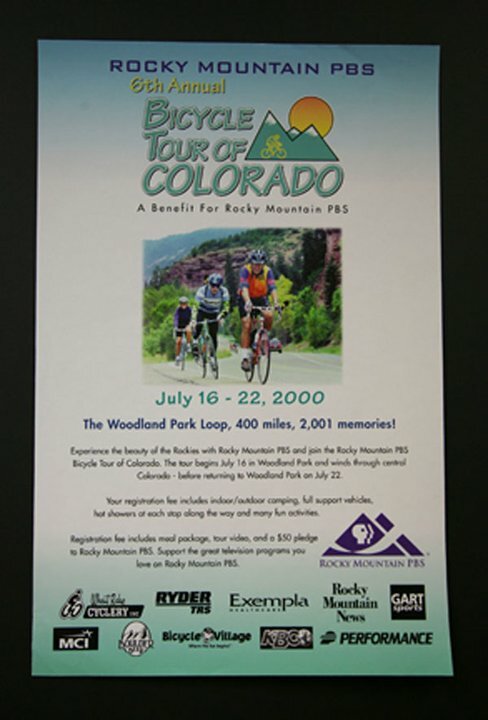 Over the years, RMPBS volunteers have also helped out at other community events independent of our organization. 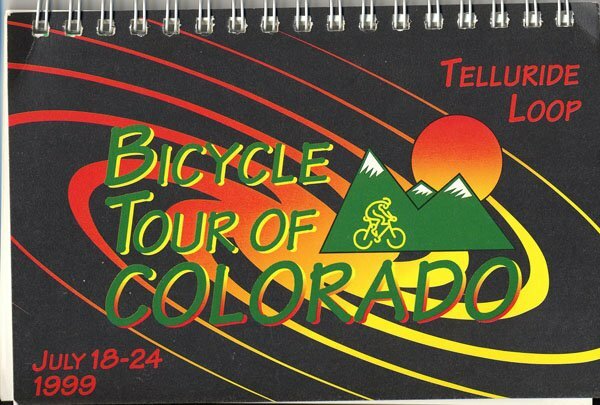 The Bicycle Tour of Colorado used our volunteers from 1995 to 2001 to help with baggage transportation, camping services, road markings, aid stations and more. 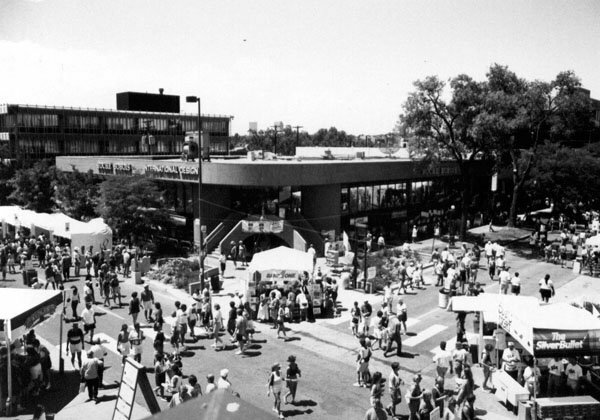 We have also provided volunteers for the Cherry Creek Arts Festival and Lowry Days. 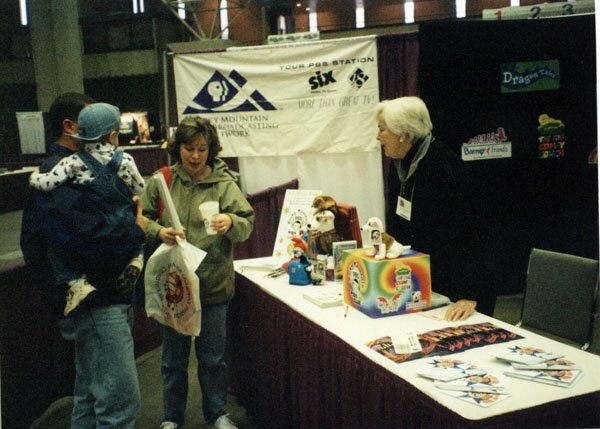 In addition, our volunteers have helped at PBS celebrity community events such as lectures and workshops. 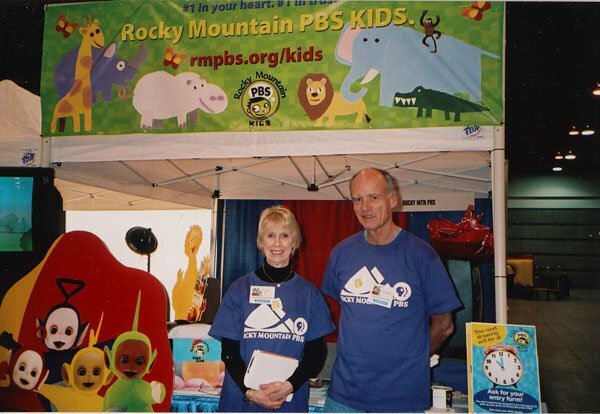 RMPBS still provides volunteers for the All About Kids Expo each year.